ISLAMABAD: Former prime minister Nawaz Sharif was sentenced to a total of 11 years in prison and slapped a £8 million fine (Rs1.3 billion) in the Avenfield properties reference on Friday while his daughter Maryam was sentenced to eight years with a £2 million fine (Rs335 million). The sentences will run concurrently, which means Nawaz will serve 10 years in prison, while Maryam seven. Additionally, Nawaz's son-in-law Capt (retd) Safdar has been given a one year sentence without any fine. Accountability Court-I Judge Mohammad Bashir announced the verdict today after several delays since morning. Nawaz has been sentenced to 10 years imprisonment under NAB ordinance Section 9(a)(v), which relates to owning assets disproportionate to known sources of income. On the other hand, Maryam has been sentenced to seven-year to prison for abetment. 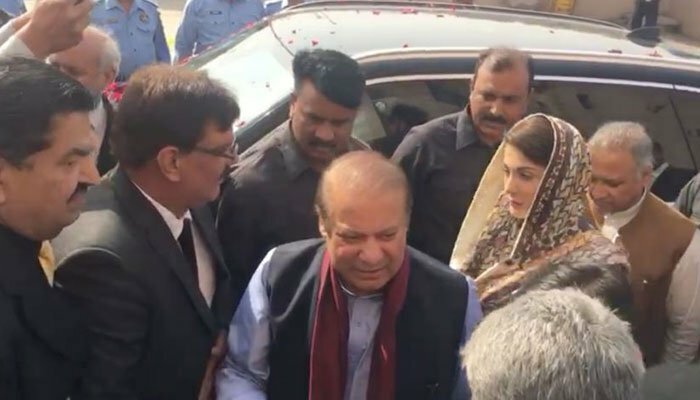 According to the 173-page long verdict, "Accused Maryam Nawaz aided, assisted, abetted, attempted and acted in conspiracy with her father accused Mian Muhammad Nawaz Sharif who was holder of Public Office." 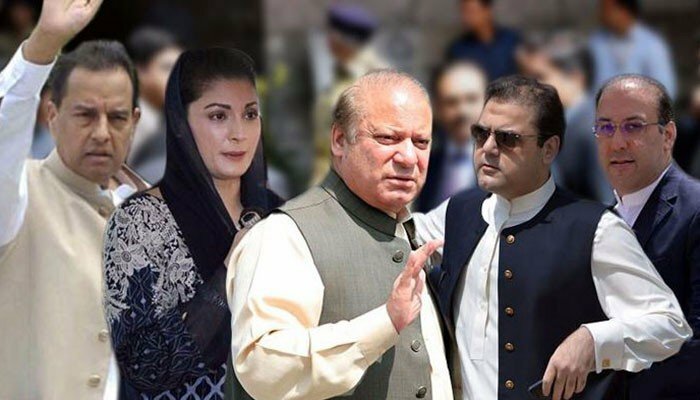 Nawaz's sons Hassan and Hussain who have been absconding in the case were declared as "proclaimed offenders" and the court ordered non-bailable perpetual warrants of arrest against them. 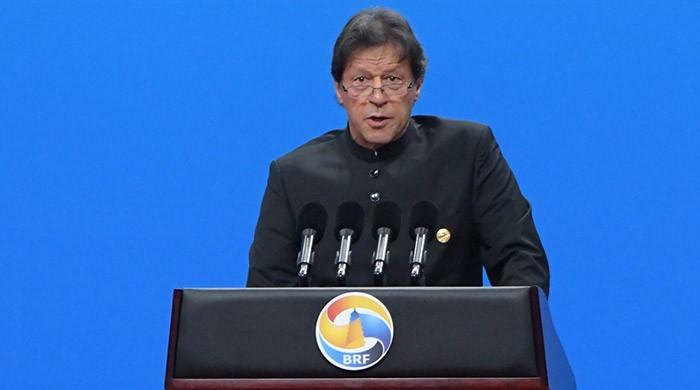 "Avenfield Apartments Nos 16, 16-a, 17 and 17-a stand forfeited to Federal Government within the meaning of 10(a) of NAO, 1999," according to the written verdict. The Avenfield properties reference was one of three filed by the National Accountability Bureau (NAB) last year in light of the Supreme Court's verdict against Nawaz in the Panama Papers case. The reference pertains to the ownership of the Sharif family's apartments at Avenfield House, London. After the hearing, NAB Deputy Prosecutor General Sardar Muzaffar Abbasi said the accused have 10 days to file an appeal against the verdict. Moreover, the court acquitted the accused under the Section 9(a)(iv) of NAO 1999 due to the failure of the prosecution to provide any "bright evidence" in this regard. "Prosecution have not bright evidence in respect of 9(a)(iv) NAO, 1999. So the accused are acquitted under that section of law," the verdict stated, adding "It was difficult to establish ownership of properties which was purchased through offshore companies formed in tax haven jurisdictions de to veils of secrecy." The Section 9(a)(iv) states: "a holder of a public office, or any other person, is said to commit or to have committed the offence of corruption and corrupt practices......if he by corrupt, dishonest, or illegal means, obtains or seeks to obtain for himself, or for his spouse or dependents or any other person, any property, valuable thing, or pecuniary advantage." According to the verdict, Maryam Nawaz will be disqualified for 10 years from holding public office after her seven-year jail terms ends. The Election Commission of Pakistan stated that Maryam's name will be removed from the ballot papers of the NA-127 constituency after which new ballot papers will be printed. 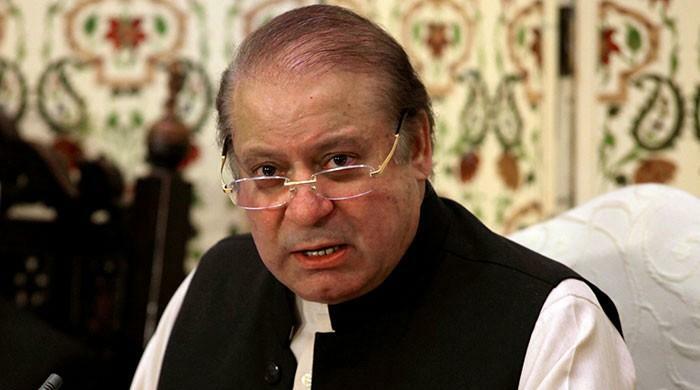 Nawaz Sharif has vowed to return to Pakistan after his wife regains consciousness. "It is my wish to speak to her [Kulsoom]. 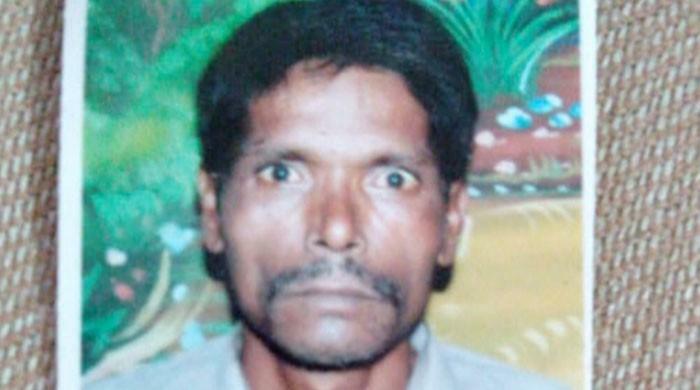 I [go to the hospital] every day with the hope that she regains consciousness and I am able to meet here. She has been my life partner for 45 years. 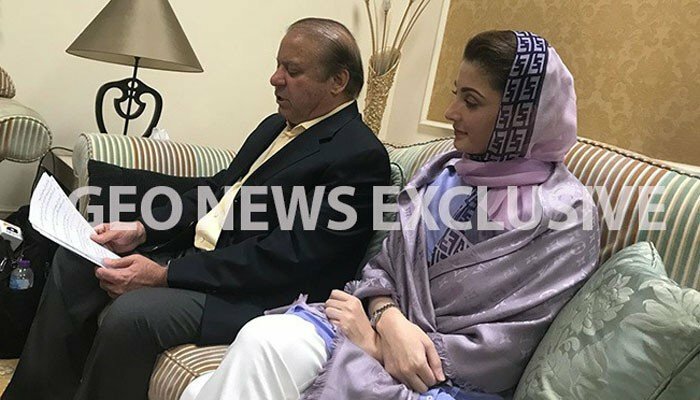 This partnership is no ordinary partnership,” said the Pakistan Muslim League-Nawaz supremo while addressing a press conference sitting alongside his daughter Maryam Nawaz, who has been sentenced to a total of eight years in jail. 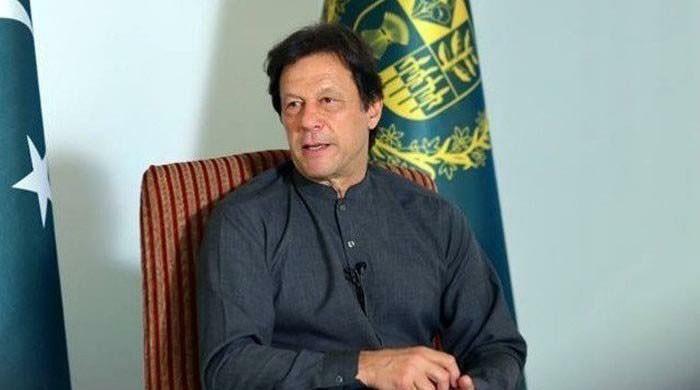 All eyes were set on the accountability court hearing the high-profile corruption cases against the former prime minister and his family. Strict security arrangements, including paramilitary personnel, were in place at the Federal Judicial Complex, where the court is located. The roads leading to the complex were also closed to traffic. 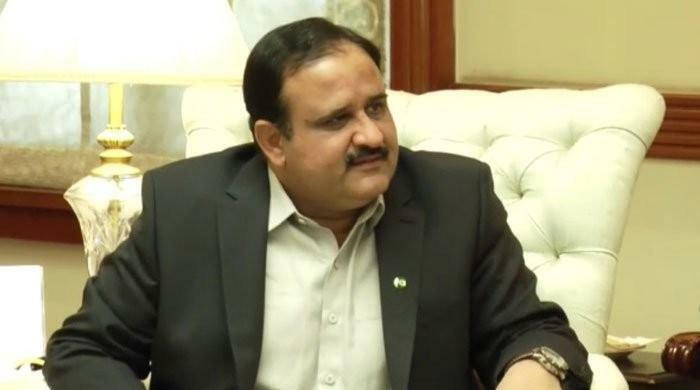 Moreover, the district administration had imposed Section 144 in the capital to discourage mass gatherings. As the hearing went under way today, Judge Bashir heard Sharifs' request, submitted on Thursday, requesting the trial court to postpone the verdict till he is back in the country next week. 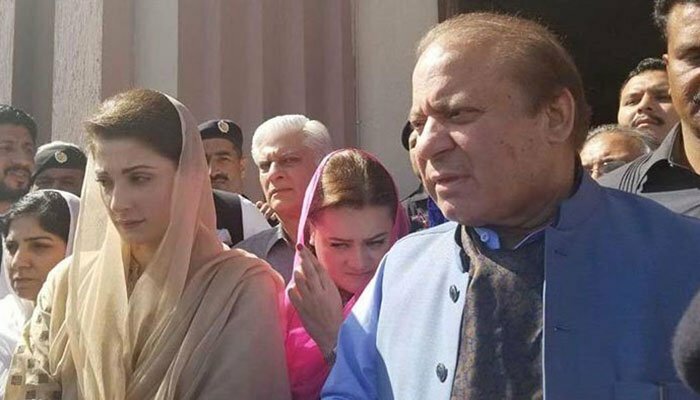 After submitting Begum Kulsoom Nawaz's medical report, Maryam's counsel Amjad Pervez argued that the law stipulates the presence of the accused when the verdict is read out. After the prosecution opposed any delay at such a late stage of the trial, the judge reserved his verdict and adjourned the hearing for an hour. Later, the court dismissed Sharifs' plea and set 12:30pm as the time for announcing the verdict. However, that deadline was later extended thrice — 2:30pm, 3pm and 3:30pm — before it was finally read out after 4pm. 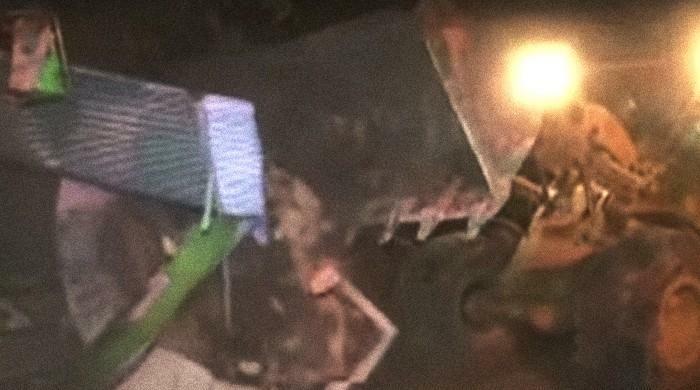 The judge had called lawyers of both sides inside his chambers and disallowed the media. He then stated that the media will be called in when the judgment is being read out. Earlier, the judge, present inside his chamber, had issued the delay notices through the court staff but the 3:30 pm deadline was informed of by the judge himself. He explained that they have to make an appropriate number of photocopies of the judgment for distribution to the relevant parties. Speaking to voters prior to the verdict, Safdar said he does not fear any verdict against him, adding that he will be exonerated in the court of public opinion. On Tuesday, the court had reserved its verdict and ordered all accused to ensure their presence in court when the verdict is read out today. Apart from Nawaz, Maryam and Safdar, Nawaz's sons are also accused in the case. They were declared proclaimed offenders last year owing to their no-show and will face a separate trial whenever they join the proceedings. The accused have been charged as per the National Accountability Ordinance, 1999, according to which they face maximum jail terms of 14 years and/or a fine, each. 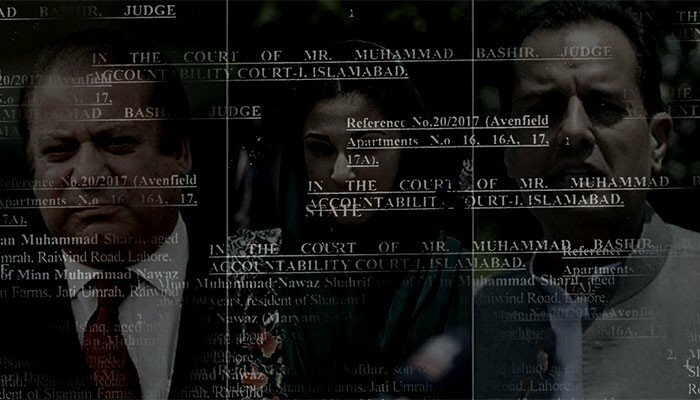 After the Supreme Court disqualified Nawaz in the Panama Papers case on July 28, 2017, the NAB, in light of the verdict, filed three corruption references against the Sharif family in the accountability court. 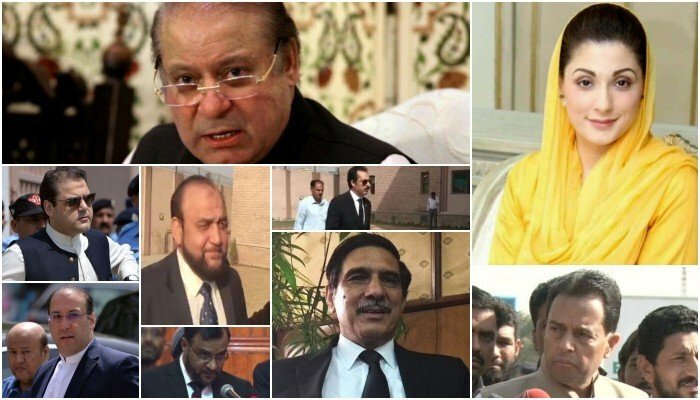 The trial against the Sharif family commenced on September 14, 2017, under the supervision of Supreme Court Justice Ijazul Ahsan, who was appointed a monitoring judge in the Panama case verdict. 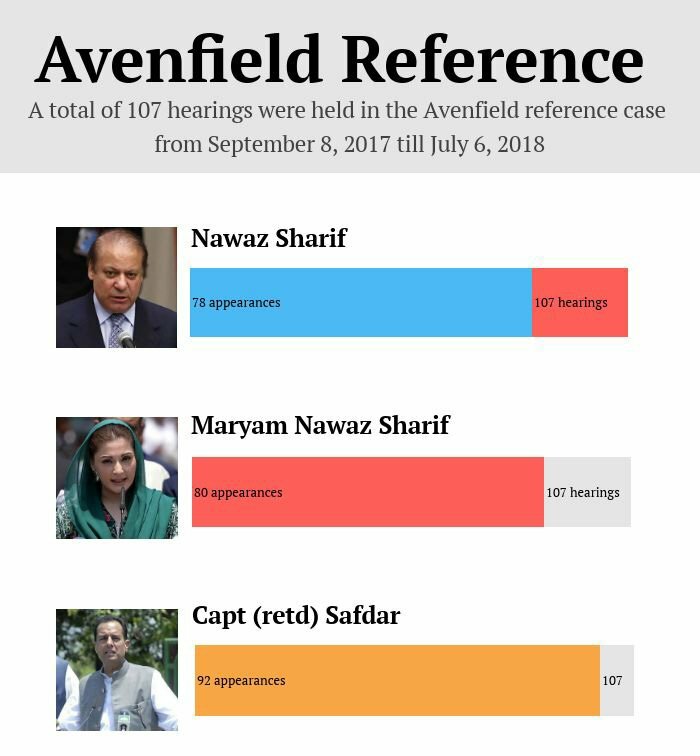 During the course of the trial, spread over 107 hearings, a total of 18 prosecution witnesses recorded their statements, including the Panama case joint investigation team (JIT) head, Federal Investigation Agency's Wajid Zia. 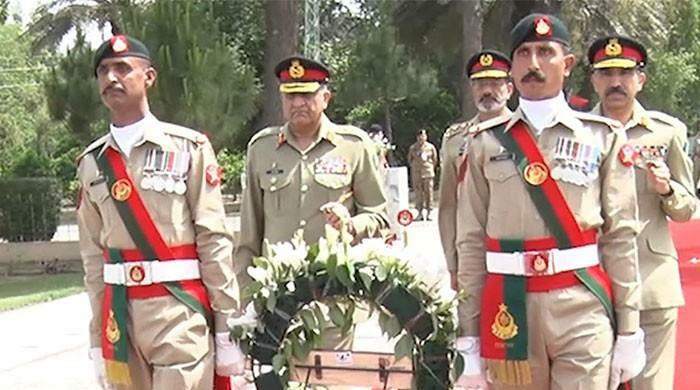 It was the Zia-led JIT's report which the Supreme Court used last year as a basis for Nawaz's disqualification and further investigation of the Sharif family's assets. After his statement was recorded, the defence counsels cross-examined Zia for around two weeks. 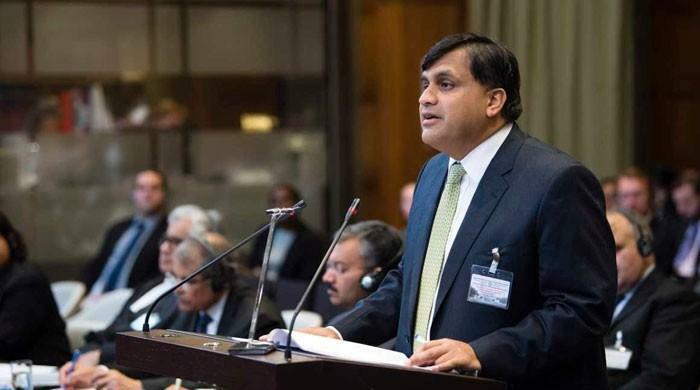 The prosecution also recorded statements of two witnesses through video-link from London — private solicitor Akhtar Raja and forensic expert Robert Radley — whose expertise was utilised by the JIT during its probe. Nawaz and the other accused were asked 127 questions during their cross-examination, while no witnesses appeared in their defence. Safdar, however, attended nearly all the proceedings.